The following guidelines outline SAGE’s general policy for handling supplemental material, but please always refer to individual journal author guidelines to check for any bespoke policies. Supplemental material refers to files relates to a specific article, which authors supply for publication alongside their article. They should generally be additional pieces to the article that could not be included in the issue or print version, such as appendices, tables, and audio and video material that is impossible to produce within the article. There may also be instances, such as certain podcasts and videos, where they are not directly attributable to a specific piece of research. For information on the specific handling and hosting of research data files, and SAGE’s open research data policies, please click here. How will supplemental material display online? How do I submit supplemental material? What file formats can be accepted? SAGE is able to host approved supplemental material on SAGE Journals, alongside the full-text article. All supplemental material will be freely available online to all users, regardless of whether the user has access to the article the material relates to or not. 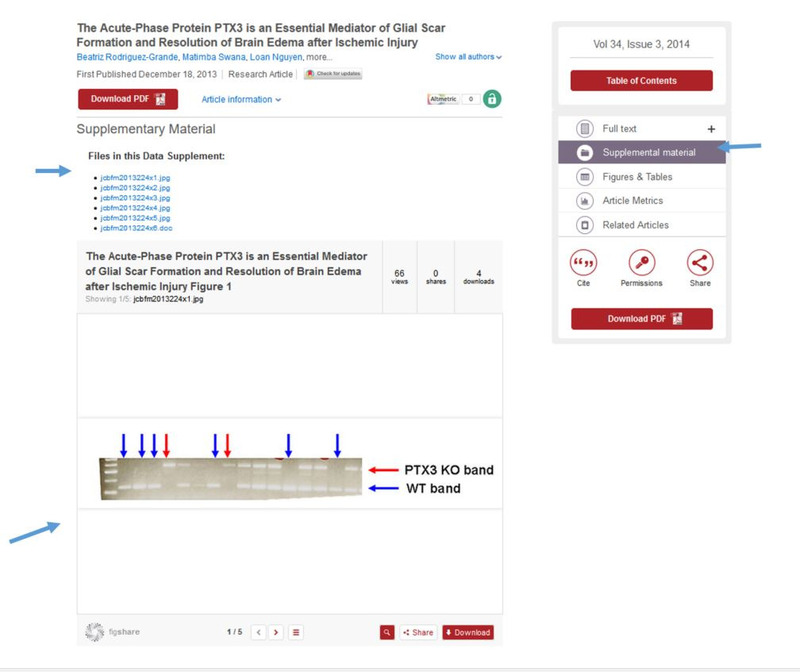 As you can see above, on the Supplemental material page, files will display in a downloadable list, and will also display in a widget powered by Figshare, from which users can scroll through each individual supplemental material file, and download, share a link to, or cite the supplemental material. To find the DOI for your supplemental material file, click on ‘Share’, after which you can select ‘Cite item’ from which you can find the DOI. This partnership means that any supplemental material submitted to SAGE’s proprietary journals (and the majority of those we publish on behalf of our partners – if in doubt please check with the journal’s author guidelines), with the exception of videos and podcasts, will be deposited to Figshare and be discoverable there, while also then being displayed next to the article on SAGE Journals. All supplemental material will be assigned a DOI upon submission to Figshare to ensure it is discoverable. Please note any videos and podcasts supplied as supplemental material will be hosted online on SAGE Journals alongside the full-text of the articles, they will just not be discoverable in Figshare. Please see our SAGE Figshare portal. The landing page shows a large viewer in which users can easily view and browse around the specific supplemental material. Authors should consult the author guidelines for the individual journals to see whether supplemental material is accepted. Supplemental material files will be subjected to peer-review alongside the article. Decisions about whether to include supplemental material files will be made by the relevant Journal Editor (or appointed deputy) as part of the article acceptance process. Supplemental material files will be uploaded online as supplied. They will not be checked for accuracy, copyedited, typeset or proofread. The responsibility for scientific accuracy and file functionality remains with the authors. A disclaimer will be displayed to this effect with any supplemental material published. SAGE does not generally provide technical support for the creation of supplemental material. Please supply a title and description for all supplemental material items supplied. These can be included in a separate word document upon submission. If a title and description is not supplied the following title and description will be used: Title – “[File name] - Supplemental material for [Article title]”; Description – “Supplemental material, [File name], for [Article Title] by [Author names] in [Journal Title]”. 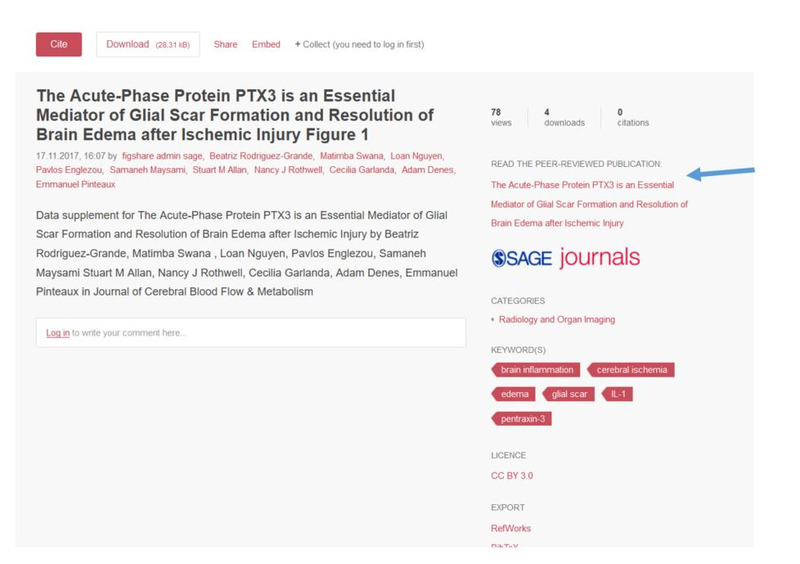 The title and description will appear on SAGE Journals and also on the record in Figshare and will aid discoverability of the supplemental material online. 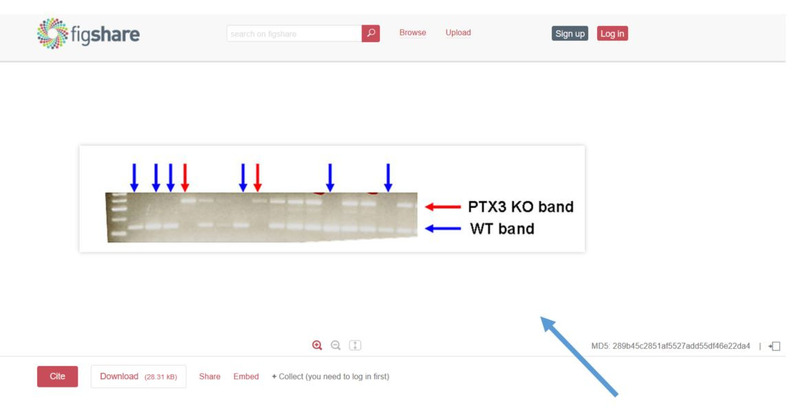 If any supplemental material supplied is already hosted in Figshare, please indicate in the filename as follows: ‘Supplemental material – already loaded to Figshare’. Embedded graphics (i.e. a GIF pasted into a Word file) are also acceptable. File sizes should be kept below 10MB where possible. Zip files should be avoided wherever possible. They can be hosted on the Figshare platform, but they will not display in the Figshare widget which appears on SAGE Journals. There will simply be a link to the zip file on Figshare. All video clips must be created with commonly-used codecs, and the codec used should be noted in the supplemental material legend. Video files should be tested for playback before submission, preferably on computers not used for its creation, to check for any compatibility issues. SAGE will not host codec files, or be responsible for supporting video supplemental material where the codec used is non-standard. A codec (compression-decompression program) called H.246 comes with the Apple QuickTime Pro upgrade to QuickTime 7 (the Pro upgrade costs $30 but QuickTime 7 itself is free) http://www.apple.com/quicktime/download/win.html. One journal reported that they created a 2MB video from a 210MB file using the H.246 codec. Like any codec, this one manages small file sizes through losses in compression (and therefore potentially in image quality). Therefore, if you choose to use the H.264 codec, you should check the settings to make sure you have set the compression at the level you are comfortable with. However, H.246 appears to be quite effective even with HD video. Copyright in article supplemental material depends on the source of that material. If it is the author’s own content, by signing the Contributor Agreement, the author is usually asked to grant a non-exclusive licence to the journal owner but in some cases the supplemental material may be published under a Creative Commons licence. Authors should check the SAGE licence they are asked to sign on acceptance. SAGE will only publish supplemental material and deposit to Figshare subject to full copyright clearance. This means that if the content of the file is not original to the author, then the author will be responsible for clearing (and paying, where necessary) all permissions prior to the publication or posting of any third party content within the article supplemental material. The author will be required to provide copies of permissions and details of the correct copyright acknowledgement. For advice on how to clear permission for material contained within the article supplemental material, please visit SAGE’s Author Gateway Copyright and Permissions FAQs. Please note that supplemental material are permanent records just like the articles themselves. Please visit SAGE's Corrections Policy.